Thanks to my Sicilian heritage I’ve had acne since puberty that has never let up. When I looked through a favorite recipe book in my 20s with lots of pictures of average real Sicilians, all my skin woes finally made sense! A couple years ago I started using a sulfur based acne soap and saw some marked improvements in my skin. My acne did not go away, but it definitely helped. The problem? For a little over 4oz, it costs about $60 after shipping. It lasted me awhile and my skin improved so it felt justified, but I have another problem: kids. Specifically kids that like to play with soap. Maybe I should just be the fun mom that doesn’t get all worked up about her kids playing in the shower/bath, but when your child has turned $60+ worth of a tiny amount of soap into “potions,” it kind of makes me lose my mind. Also I have acne on my torso and back so I could never bring myself to use this expensive soap on those much larger portions of my body. 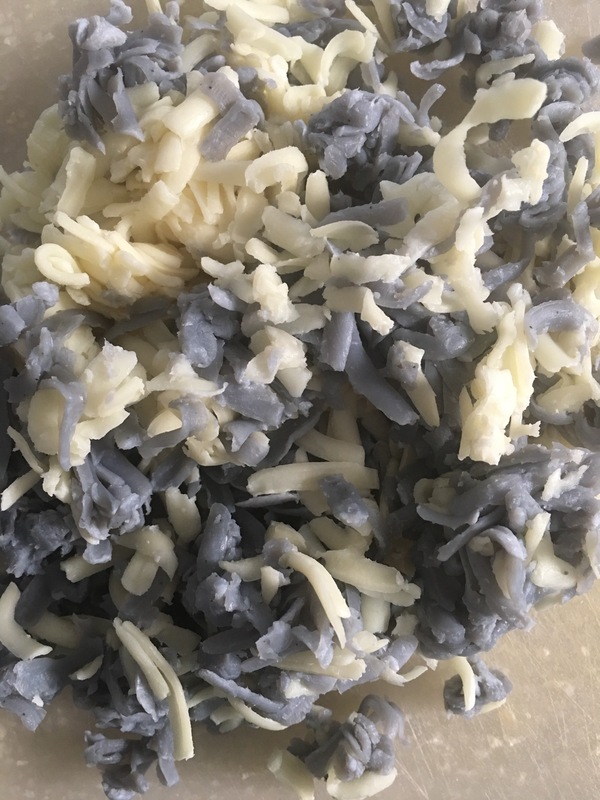 Friends of mine had used an activated charcoal based soap and saw similar improvements to mine so I started trying that too. The one I use is available pretty much everywhere and retails for about $10 for 5oz. I found that it works OK, but not as good as the sulfur soap. So a few weeks ago I was in the health food store and tried to find a soap that combined both of these ideas. I found separate bar soaps of each, but nothing with both. So I bought two bars of soap and thought I’d alternate between them. I hate bar soap though! Getting a good lather is hard, the bar falling off the shelf onto the floor of the shower, it getting all soft and mushy in the shower, etc. it just grossed me out. I even tried some of those terry cloth bar soap pouches and still was not liking it. Every once in awhile I decide to do something really crunchy granola. 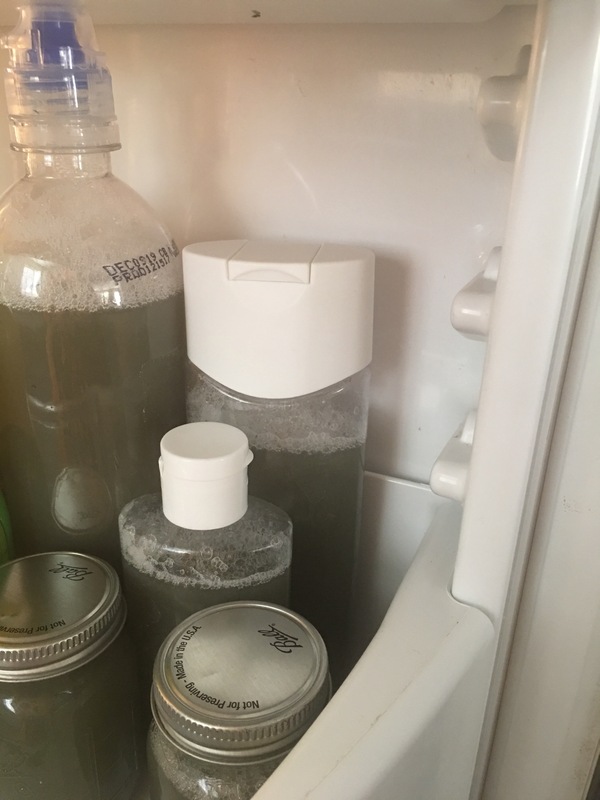 It’s been about 8 years since I tried making my own laundry soap (it made way too much, was way too much work at the time, and didn’t feel like it got our clothes clean so after the first batch I quit). Well, I remembered laundry soap making and decided to apply the same concept to my bars. Most of the recipes I refreshed myself on wanted you to use a huge pot and lots of water to make gallons of soap. I did not want gallons of soap! I did find one that used only 4 cups of water and one bar of soap though. It said that it may come out a little thin though and to add more bar soap if necessary. Since I had two bars of soap, I decided to use 6 cups of water instead. I can’t remember the exact brand of sulfur soap I bought, but a quick look online says they run from $3-$12 a bar. There is even a bar that has sulfur and salicylic acid (another common acne treatment) in it from DermaHarmony. I do know the activated charcoal brand soap I bought was from The Seaweed Bath Co. because I recognized the packaging. Activated charcoal bar soaps also range from about $3-$12 a bar depending on the brand and store. Step 1: In a medium saucepan, bring 6 cups of water to a boil. Step 2: While you are waiting for the water to heat up, grate your bars of soap. You can also use a food processor, but I feel like food processors are harder to clean so I just used my regular cheese grater. Step 3: Once the water comes to a boil, turn off the heat and add soap gratings. Step 4: Stir until gratings are all melted. This will take awhile. I started to wonder if they would ever all melt and whether this was worth it and then they did and I realized I was being a bit dramatic. Step 5: I knew tea tree oil is supposed to be good for acne too so I added about a half teaspoon to the pot at this point. The added benefit of a better smell in my kitchen than sulfur. Step 5: Let cool completely, stirring ocassionally. Ok so here’s the deal, most of the recipes said to let it cool overnight on your stove to get optimal thickness, but I didn’t have time for that. Once mine was about luke warm, I started putting it into a random assortment of containers I scrounged and cleaned (Next time, I’ll probably be a little more prepared and buy containers). Then I put those in the fridge and left them there for about an hour before deciding I need a shower ASAP and can’t wait anymore. 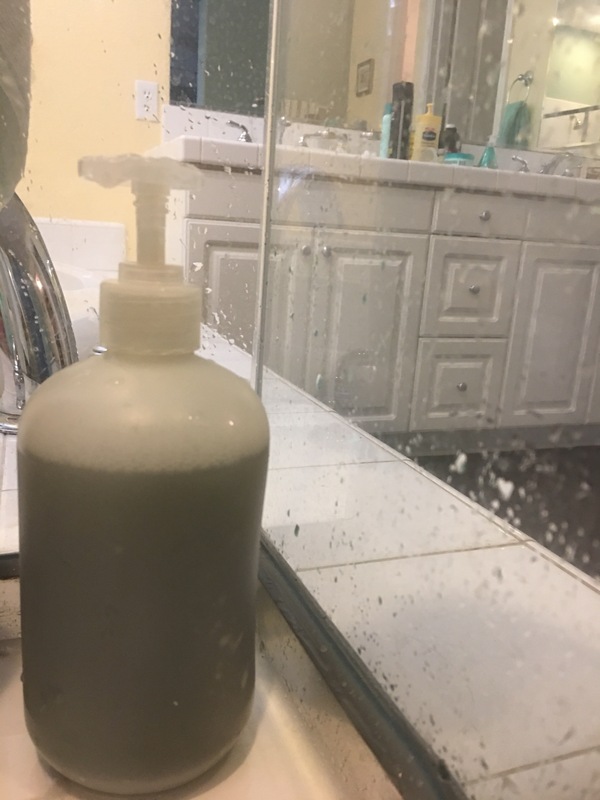 The soap did seem a little thin and is kind of a weird dark not so pretty olive green color, but it lathered up just fine on both my hands for my face and loofah for my body. My skin felt clean and soft afterwards and I have no complaints. I’m not sure how much volume the grated soap added to the total, but if we just use the original 6 cups of water, that means I got 48oz of soap for about $10 (I think I paid about $5/bar) vs. 5oz for $10 or 4oz for $60.